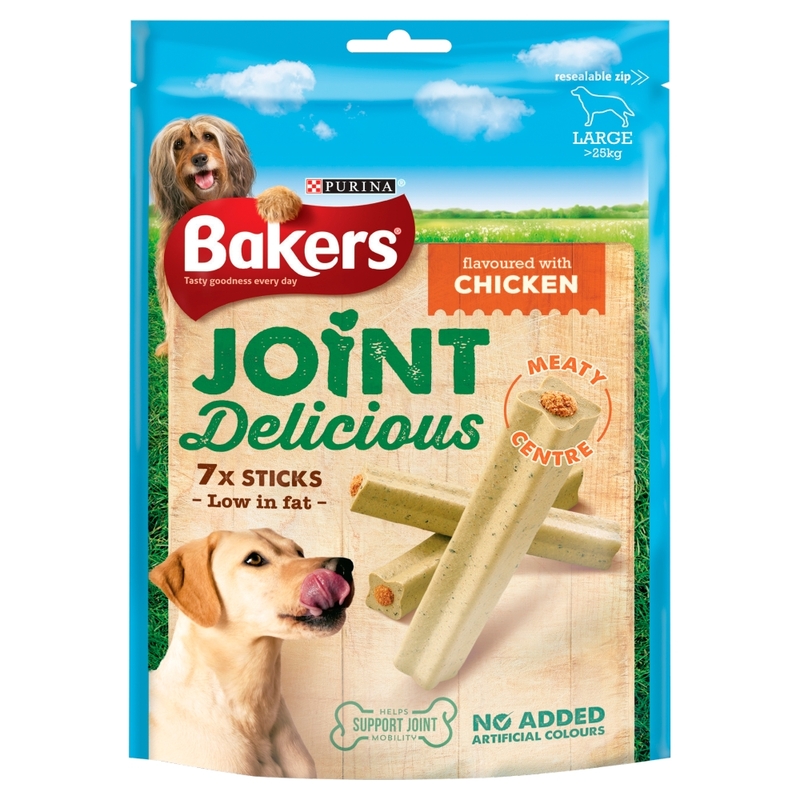 Bakers Joint Delicious treats are a tasty way to support your dog's joint mobility. 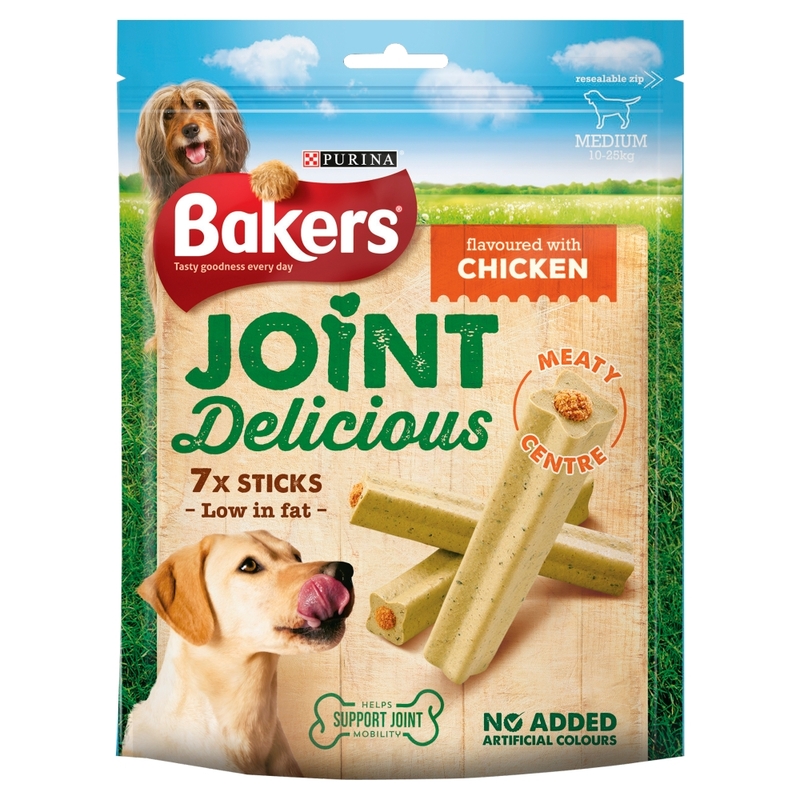 The chicken flavoured chewy sticks are fortified with Bakers Joint Complex Tasty Joint Support, and can be given once a day to provide your dog with essential vitamins and minerals they require for top joint health and mobility. Cereals, Meat and animal derivatives (28 % meat, 4% chicken), Minerals, Vegetable protein extracts, Oils and fats, Vegetables, Glucosamine. Dogs should be fed 1 treat per day of the product size which matches their size (small, medium, large breed). Please adjust the main meal accordingly. Fresh drinking water should always be available. Supervise your dog when giving him/her the treat. There are currently no questions for Bakers Joint Delicious Dog Treats - be the first to ask one!